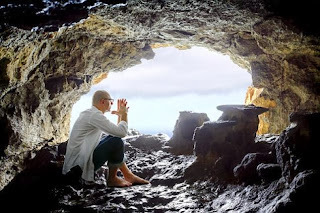 The Stark Raving Viking: Celebrate Bombing Pearl Harbor Day by living in a cave? Celebrate Bombing Pearl Harbor Day by living in a cave? The above picture comes with an interesting story of two brothers living in a cave, scrapping, inherit 6.6 billion dollars. [Picture and story is found here]. I found the below video [here on the Kenny's Sideshow blog]. I don't think I can outdo any of his posts on any holiday or remembrance. So, I suggest clicking on the link.